Today we want to share with you a beautiful vintage masterpiece created by Shell Carman. 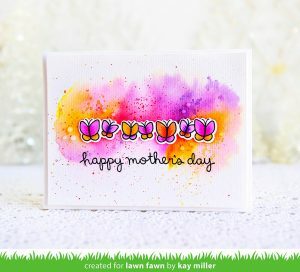 This layout is created using stamping, distressing, and inking techniques. 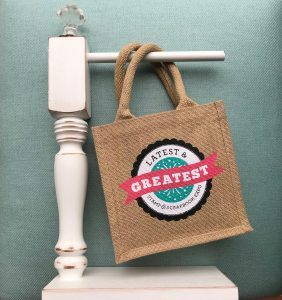 What a fun way to incorporate those fun stamps you love to use! 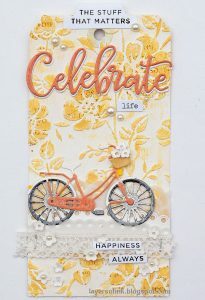 One of the beauties of creating a vintage distressed page is that it doesn’t really matter how much ink you use on the stamps. The variety of inking adds charm to your layout. To create this fabulous layout you will begin with a sheet of patterned paper and tear along one side. Ink the edges. Stamp a brick stamp and stitch stamp in several places onto the paper. Punch out a fun border and ink the edges. You will place the border punch about an inch from the left side of the background paper, and then add the torn paper next to the border punch. Next, create the bottom V along with the upper corner opening by hand tearing some of the patterned paper. Roll the paper to the sides and adhere with some tape. You can add some stamping in between the rolled edges with a script stamp. Martha Stewart has a beautiful circle edge punch to set off a fun photo in the center of this layout. Add some pretty flowers using several different shapes and colors. Fussy cut some flowers from your papers and add them under the silk flowers. This is such a beautiful masterpiece! I would like to say thank you to Shell for sharing this beautiful vintage layout. Be sure to pop over to her blog Another Scrappy Day for more inspiration. This entry was posted in Scrapbooking and tagged Graphic 45, KaiserCraft, Martha Stewart, PRIMA, Vintage. Create this gorgeous “It’s A Girl” card!